Inspired by the religious hindu marking on the forehead of devotees, the Bindi Collection merges traditional iconography with western dance pop culture. 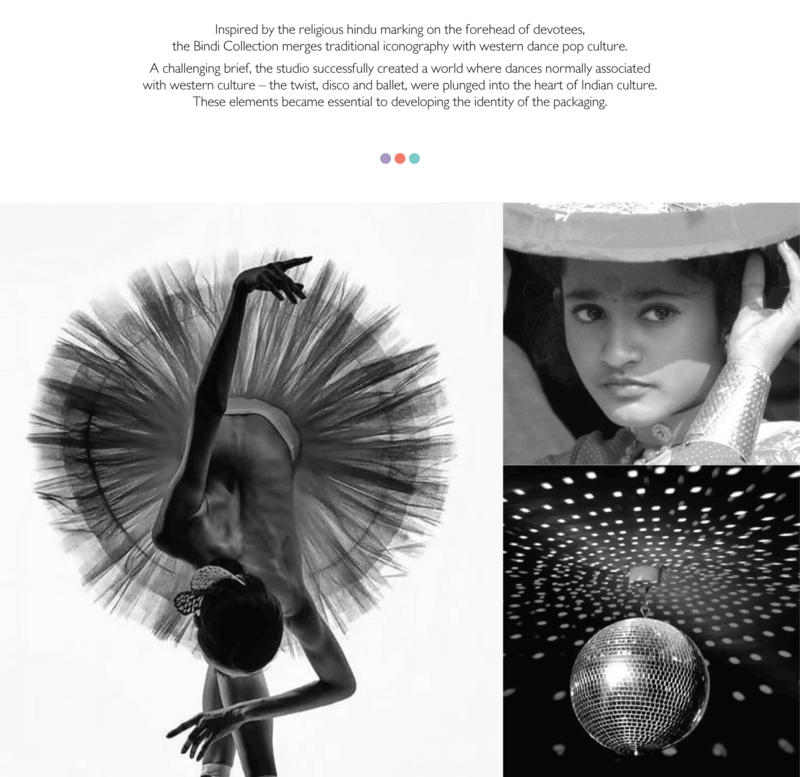 A challenging brief, the studio successfully created a world where dances normally associated with western culture – the twist, disco and ballet, were plunged into the heart of Indian culture. 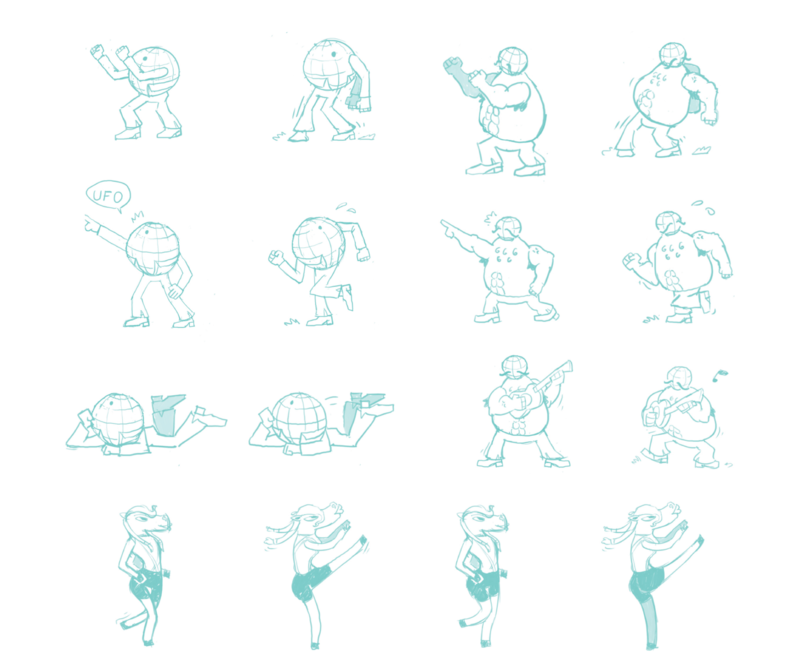 These elements became essential to developing the identity of the packaging. Gathering inspiration from the reflective light from disco balls and dancefloor mirrors, the rotating vinyl spinning on a record player in a teenager’s bedroom in the1960’s and the sweeping birds eye views of Bolshoi ballet dancers, the studio used this varied palette of colours and pattern to feed into one coherent design to create a strong and distinguishable aesthetic pattern. To illustrate the vivid and luminous energy of Indian life, the studio designed specific advertising breaking with the classic structure of the packaging and bottles. 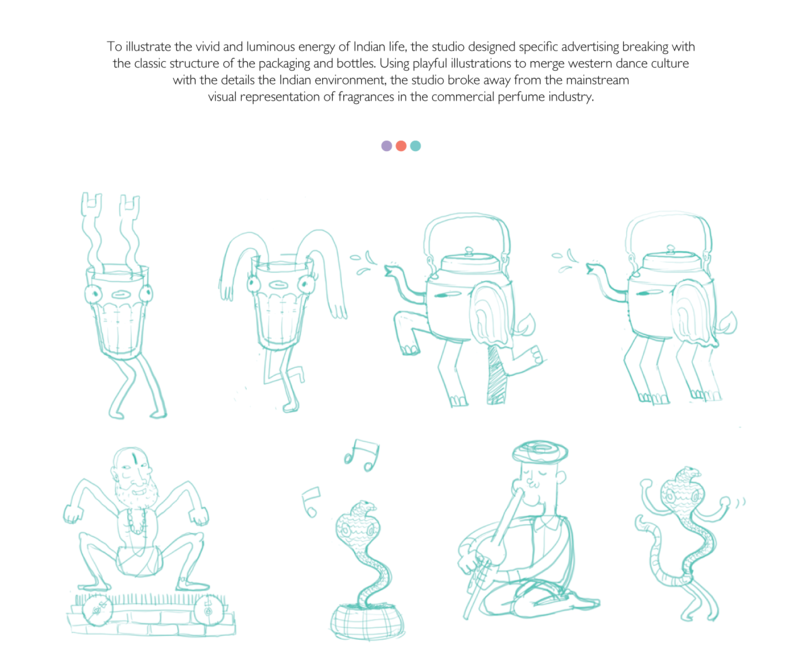 Using playful illustrations to merge western dance culture with the details the Indian environment, the studio broke away from the mainstream visual representation of fragrances in the commercial perfume industry.